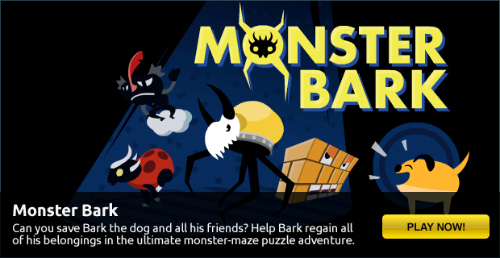 Description Bark the dog has been robbed by monsters. Monsters were always jealous about the great friends and sweet stuff Bark had, so they planned to steal it all from him in the middle of the night. Little do they know that Bark is the most courageous dog there is and he want all of his stuff back. What an awesome game! Cool polished graphics and very nice music. Wow, I'm stunned!